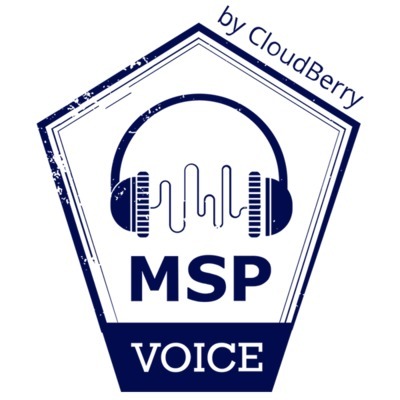 MSP Voice is a podcast produced by CloudBerry where each week we talk to different managed service providers about their business. We cover topics like how to get started, what are some of the best tools and even what to avoid. The goal is to be informative and a go-to resource for any MSP looking to start or grow their business. Podcast main page: www.mspvoice.com/ Show-notes: www.mspvoice.com/msp-voice-episode-43/ Guest: George Monroy Company: Monroy IT Services George Monroy is based out of San Antonio, TX. His route to becoming a MSP started out as being a temp at a company. When that company let go all of their temps, he was actually “hired” back as a consultant. Starting out as part-time, the opportunity eventually grew to his only client until the company was purchased. He then moved to San Antonio and started up his own IT services business. George stresses that for anyone starting out, make sure you have a business plan. While he didn’t start with one he now sees the importance of a proper business plan, especially when you’re starting out! George is also a member of The 20 and recommends them as well as any peer group to help you grow your business. Podcast main page: www.mspvoice.com/ Show-notes: www.mspvoice.com/msp-voice-episode-42/ Guest: Michael Baker Company: Atiba I met Michael at the Robin Robins Sales and Marketing Bootcamp last month in Nashville and he agreed to be my guest on this week’s podcast. Michael is the National Director of Business Development for Atiba which basically means he has a number of responsibilities, including sales and social media. We discuss how Michael approaches social media for Atiba and also about the importance of actual relationships in this world of social media and online services. Michael gives some great advice at the end about the importance of those relationships. Podcast main page: www.mspvoice.com/ Show-notes: www.mspvoice.com/msp-voice-episode-41/ Guest: Scott Bell Company: St. Benedict Technology Consortium Scott was working in a school and faced a challenge when the school received 400 laptops...how could he get them all set up? He came up with the idea to pool resources from other schools and the idea behind SBTC was born. Unlike many MSPs, Scott runs SBTC as a non-profit. That means that he only supports other non-profits (mostly schools) and also gives him a bit of freedom because he’s not our chasing new customers for profit. Scott has grown his team to over 40 employees in the past 10 years and services 2 of the counties that make up the greater Chicago area (Lake and Cook Counties). Scott talks about why he decided to go this route and also about how it’s rewarding for him and his employees to have an impact on their community. Podcast main page: www.mspvoice.com/ Show-notes: www.mspvoice.com/msp-voice-episode-40/ Guest: Tim Taylor Company: Taylorworks Tim Taylor started in the IT services business 20 years ago working out of the trunk of his car. After a successful IT career he decided that he wanted to go it alone and since that time he’s built an MSP that employs 14 people. Along the way he realized that there weren’t any good books for starting an IT business, so he wrote one. “How to Run a Successful IT Company Without Losing Your Shirt” is available on Amazon so check it out if you like what you hear from Tim. In this episode, Tim shares a number of great stories about how he built his business and the importance of treating your customers right. We also discuss how the MSP business is very much a family business and that small businesses want to work with other small businesses. Tim also consults for other MSPs looking to grow their business through his Tim Taylor Consulting Group. Podcast main page: www.mspvoice.com/ Show-notes: www.mspvoice.com/msp-voice-episode-39/ Guest: Anton Kioroglo Company: Security First IT Last week at the Sales and Marketing Bootcamp put on by Robin Robins I met J. David Sims in person. You may remember him from the HIPAA for MSPs webinar he did for us back in January. David introduced me to his MSP business partner, Anton Kioroglo, who agreed to be on this week’s episode. Anton and David formed Security First IT by actually combining their own 2 MSP businesses, essentially a merger. Security First IT is an MSSP mostly focusing on security (Anton) and compliance (David). 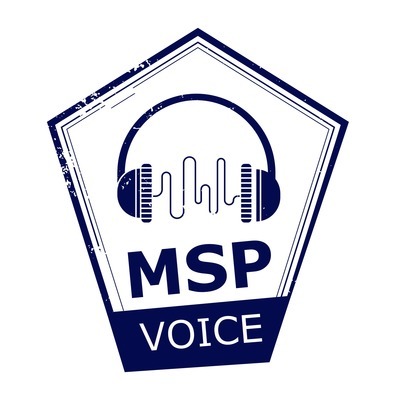 Anton gives us some good advice on security and how to get started in the MSP/MSSP business. Podcast main page: www.mspvoice.com/ Show-notes: www.mspvoice.com/msp-voice-episode-38/ Guest: Ross Whitmore Company: Northern Technology Services Ross Whitmore is running his MSP up in a resort town in Michigan. While the area is small, he’s still managed to carve out a nice niche for himself in providing MSP services for local businesses including hospitality and retail. Ross has love technology his entire life and decided a few years ago to give it a try on his own. Ross has a great spirit and a real focus on his customers which he feels is lacking in some of the bigger MSP shops. Through some partnerships with other providers, he’s been able to grow his business and keep his customers happy. Podcast main page: www.mspvoice.com/ Show-notes: www.mspvoice.com/msp-voice-episode-37/ Guest: John Gambill Company: GO Concepts Inc. John is located in Southwest Ohio and started GO Concepts in 1997 and has gone through a few transitions in that time. Starting with a public/private partnership with Time Warner they helped build out and provide internet services for businesses and homes. After working with an agency on their image and being told “you’re succeeding in anonymity” they decided to change focus. Today GO Concepts focuses almost entirely on serving the County Boards for Developmentally Disabled (DD) agencies and companies that provide services to those boards. They focus on Ohio and with 88 counties, Ohio has plenty of opportunity in this space. They even have a dedicated site for what they do: https://www.itfordd.com/. John is passionate about what they do and it really comes across in this fun interview. Podcast main page: www.mspvoice.com/ Show-notes: www.mspvoice.com/msp-voice-episode-36/ Guest: Reese Ormand Company: Techvera Based just outside of the Dallas/Ft. Worth area, Techvera was actually started by Reese’s dad as a break/fix consumer repair shop. Getting involved in the business in his teens, Reese went off to college and came back to take over the business and transition to MSP instead of break/fix. They now offer a standard stack to their customers. Reese offers some great tips and insights into their transition from break/fix to MSP. Podcast main page: www.mspvoice.com/ Show-notes: https://mspvoice.com/msp-voice-episode-35/ Guest: Scott Sanders Company: Affordable Technology Solutions, LLC Community: IT Business Owners Group Scott runs an MSP and break-fix company in Columbia, SC. He started out as residential break/fix and that lead to gaining some commercial clients and MSP. While he’s loyal to those who have been loyal to him he’s not accepting any new residential customers. You may also know Scott from the group he managed, IT Business Owners Group or ITBOG. ITBOG started out on LinkedIn and has now mostly moved to the popular Facebook group by the same name. Podcast main page: www.mspvoice.com/ Show-notes: https://mspvoice.com/msp-voice-episode-34/ Guest: Rick Porter Company: Cinch I.T. Rick has been an entrepreneur all his life, starting a DJ business when he was just 16. He found motivation in the US military and then worked for a technology company for a few years before founding Cinch I.T. in 2004. Cinch started off as break/fix but transitioned to MSP soon after. Cinch has been growing ever since and has won numerous awards. Rick is now taking that success and looking to grow by offering franchise opportunities across the country. Podcast main page: www.mspvoice.com/ Show-notes: https://mspvoice.com/msp-voice-episode-33/ Guest: Bob Coppedge Company: Simplex-IT My interview with Bob Coppedge of Simplex-IT went a little longer than normal, mostly because we were having a great conversation and Bob is a great guy to interview. While Bob is focusing on the business and not “in the business” he has built a successful MSP that has been around for about 11 years. Simplex skipped the break-fix phase and jumped directly into MSP work from the start. Now with over 13 employees, Simplex is still growing. Bob has written a book, “A CEO’s Survival Guide to Information Technology”, and is working on another one due out later this year that is written specifically for MSPs. Bob’s second book with detail how Simplex has had a lot of success in co-managed IT, basically helping to augment an existing IT staff with MSP services. If you want to connect with Bob, hit him up on LinkedIn or drop him an email at bob@simplex-it.com. Podcast main page: www.mspvoice.com/ Show-notes: https://mspvoice.com/msp-voice-episode-32/ Guest: Jeff Sagraves Company: BlueLine Jeff is the president of Blueline and based in Charlotte, NC. They consider themselves a technology solutions provider which includes managed services but also a broader set of services. One of their differentiators from other MSPs is that about half of their organization is focused on Apple support, including hiring former Apple Geniuses. Part of their job is to make Macs work in a Windows environment which isn’t always easy. Blueline does focus a lot on both public and charter schools where Apple products are more prevalent. Jeff didn’t have a technical background but came into services after working for some of the big consulting companies. Jeff focuses on working on the business instead of working in the business and has set up a lot of repeatable methodologies that work well for Blueline and their 20% year over year growth. Podcast main page: www.mspvoice.com/ Show-notes: https://mspvoice.com/msp-voice-episode-31/ Guest: Matthew Opyd Company: Proven IT Matthew Opyd got started in break/fix on his own when he was 16 years old and then went to work for an MSP when he was 19. Now several years later, he’s the service manager overseeing over 30 techs and the project team. Proven started out in 2002 selling copiers as Proven Business Systems and moved into offering MSP services about 3 years ago. Proven IT is based in the Chicago area with several offices. They still offer copier and business services as well as MSP. They server multiple verticals rather than specializing in just one. Podcast main page: www.mspvoice.com/ Show-notes: https://mspvoice.com/msp-voice-episode-30/ Guest: Omer Choudhary Company: IQ Interactive IQ Interactive provides solutions for digital signage and point-of-sale. Rather than managing a customer’s IT infrastructure, they manage digital signs (equipment) and they also have a content management system that they’ve developed. Omer started off in IT pretty young and worked for a few companies before starting IQ Interactive. They also partner with other “traditional” MSPs who provide the IT stack while IQ Interactive handles the digital signage. Podcast main page: www.mspvoice.com/ Show-notes: www.mspvoice.com/msp-voice-episode-28/ Tim has been a MSP Pioneer since the 90’s. After leaving a value added reseller in 1991 Tim started his own company because he saw the future in network services. In 1996 Tim and his partner realized that they need to provide their services for a fixed fee...hence pioneering the manager services model. They even had to write their first RMM tool themselves. Tim sold that company and founded Alpha NetSolutions in 2002 and has been going strong ever since. Now they focus on small businesses in New England, mostly manufacturing, custom home builders and dentists. Podcast main page: www.mspvoice.com/ Show-notes: www.mspvoice.com/msp-voice-episode-27/ John Watkins, who is an engineer by heart, started right out of high school in IT and later teamed up with a local break-fix shop that had multiple locations in the Tampa Bay area. After about 3 years they transition to full MSP and have been growing steadily ever since. As John says , “You’ll never learn more than working for an MSP”. Podcast main page: www.mspvoice.com/ Show-notes: www.mspvoice.com/msp-voice-episode-26/ Krunal is in the UK and he and his company support the hospitality industry (hotels, coffee shops, etc). They’ve been in business since 2009 after Krunal saw some opportunities to consolidate IT services for hotels and retail outlets and provide a one stop shop. Since many hotels are owned by a franchisee Krunal and his team have carved out a great niche for their company. They’re usually involved from design through build and outfitting. Podcast main page: www.mspvoice.com/ Show-notes: www.mspvoice.com/msp-voice-episode-25/ Doug is the found and CEO of Brightworks Group. Brightworks has been in business for 7 years and they consider themselves at technology success providers. While similar to a MSP, Brightworks Group works with a unique set of customers focused in the high end financial and private equity services. With offices in Chicago and Indianapolis they have a largely mobile workforce to serve their clients (some of which have offices overseas). Podcast main page: www.mspvoice.com/ Show-notes: www.mspvoice.com/msp-voice-episode-24/ Guest: Daniel De Steno Company: Nova Computer Solutions Daniel started his MSP practice in 2000 after his employer wanted him to move to Korea for 2 years without his family. Since his wife worked at a dental practice he started looking into it and made the decision that he’d give it a try. 18 years later and his business is going strong. He’s even created a dental office design center where dentists can get an idea of what technology solutions they want for their practice. Podcast main page: www.mspvoice.com/ Show-notes: www.mspvoice.com/msp-voice-episode-23/ Guest: Michael Drobnis Company: OptfinITy This week’s guest is Michael Drobnis from OptfinITy. Michael has been in business for 17 years. He started with basic break/fix doing a lot of the technical work but then moved to managed services where Michael took a more active role in managing the business. OptfinITy now has 14 employees and they focus a lot on associations. They also encourage their employees to be a member of a chamber of commerce. Podcast main page: www.mspvoice.com/ Show-notes: www.cloudberrylab.com/blog/msp-voice-episode-22/ Guest: Robert Merva Company: Avrem Technologies Starting at a young age, Robert started getting technical certifications. Before he graduated high school he was already doing a lot of IT work for the school district. This turned into a job with the school district after graduation but it wasn’t long before Robert decided he could make a business (and a living) out of helping people with their IT needs. Robert believes it’s very important to have your processes defined early and with long-term goals in mind. Robert really does love what he does for a living and can’t imagine doing anything else...it’s always great when you find your passion. Podcast main page: www.mspvoice.com/ Show-notes: www.cloudberrylab.com/blog/msp-voice-episode-21/ Guest: Joe Pannone LinkedIn: www.linkedin.com/in/joepannone/ Twitter: @JoePannone Company: Forza Technology Solutions Joe started Forza soon after college and over the past 20+ years he’s grown it into a successful MSP business. As Joe and his partners developed their business they also found work on the application development side of things. As they were growing, they used this expertise to develop dashboards for both Connectwise Manage and Kaseya. They now offer these dashboards for free to any MSP. Joe also discusses how they’ve succeeded and some great tips and trick for attracting new customers. Podcast main page: www.mspvoice.com/ Show-notes: www.mspvoice.com/msp-voice-episode-20/ Guest: Florian Militaru Company: PRO This week I talk to Florian Militaru who owns PRO in the Chicago area. Florian came to the US from Romania and started his business in 2003. PRO focuses on residential, break-fix and even some managed services. To run his business, Florian started working with an open source CRM solution, suitecrm.com/, and has developed modules that connect to multiple systems and is now his PSA. While not for everyone, developing your own solutions based on open source can save you a lot of money! Podcast main page: mspvoice.com/ Show-notes: www.cloudberrylab.com/blog/msp-voice-episode-18/ Guest: Alvaro Prieto Company: Auxis Alvaro and his business partner Raul started Auxis about 20 years ago. Alvaro brought technical skills and Raul was on the business and finance side. Today Auxis employs more than 400 people in the US and Latin America. Alvaro and I have a great discussion about Robotic Process Automation (RPA) and how Auxis has used RPA to accelerate their business. The Auxis blog has some great information on RPA and they also have a report, “Where are with RPA Today” that is available for download. Guest: Jay Wong Company: Xyber Solutions This week’s guest is Jay Wong from Xyber Solutions in Perth Australia. Jay started is “PC shop” with a dream and a credit card and now runs a successful business with projects and customers in multiple countries. Jay shares his passion for technology and how he has grown his business. Podcast main page: mspvoice.com/ Show-notes: www.cloudberrylab.com/blog/msp-voice-episode-16/ Guest: Brad Proctor Company: University PC Care Twitter: @BradProctor The interview this week is with Brad Proctor from University PC Care in Greenville, NC. Brad talks about his career and also what they had to do to prepare for Hurricane Florence as it headed towards North Carolina. Brad is a big fan of Apple and was instrumental in having University PC Care become an Apple Authorized Service Provider. Brad has some great advice for all MSPs out there! Podcast main page: http://mspvoice.com/ Show-notes: www.cloudberrylab.com/blog/msp-voice-episode-13/ Guest: Jack Mortell Company: stratx IT URL: https://stratxit.com/ MSP Voice Episode 13 - SALES! In this episode, we interview Jack Mortell who is EVP of Sales and Partners at stratx IT solutions in New York. Stratx has about 60 employees and focuses about 90% on the healthcare market. With Jack’s background in sales, we dive a bit deep in this episode about the types of salespeople, who makes a good salesperson and how to make sure you can align the MSP owner’s vision and passion to the salesforce. Podcast main page: http://mspvoice.com/ Show-notes: www.cloudberrylab.com/blog/msp-voice-episode-12/ In this episode, Doug interviews Ryan Day from ITR America. ITR is not a MSP company but a seller/supplier of parts for heavy equipment. Ryan had to transition ITR from a disparate IT operation to one that operates like a MSP. Ryan uses many of the same tools any MSP would. We also discuss downtime and how Ryan has set up his infrastructure to minimize downtime and save the company money. Podcast main page: http://mspvoice.com/ Guest: Stuart Blumenthal Twitter: @sblumenthal_tx Company: MicroAccounting URL: http://www.microaccounting.com/ Info: MicroAccounting is a value-added reseller (VAR) of business software and service, fueled by the drive for client results. Podcast main page: http://mspvoice.com/ Guest: Kenny Grayson, Grayson Data Services Company URL: http://www.graysonds.com/ Kenny Grayson is the owner of Grayson Data Services in Louisiana. Kenny has a typical managed services business but also does application development for his customers. He doesn’t recommend mixing the two unless you have a firm background in appdev but the combination works well for him. Podcast main page: http://mspvoice.com/ Guest: Dean Lewis Company: Chess ICT Website: https://chessict.co.uk/ Dean on Twitter: @saintdle LinkedIn: https://www.linkedin.com/in/saintdle/ Blog: https://www.educationalcentre.co.uk/ Currently working as a Technical Architect at a UK based VAR, Chess ICT. Focusing on both pre-sales design an post sales implementation, finding himself working most days in the virtualisation field. Also a general geek with a passion for technology as a whole, which has led him to being nominated as a VMware vExpert, Veeam Vanguard and Cisco Champion multiple times. Outside of this, he tries to improve his culinary skills and find that ultimate Indian curry recipe. Podcast main page: http://mspvoice.com/ Guest: Ross Wimmersberger Company: 4cIT Links: http://www.4cit.net/ A project Ross is working on: http://bankgradecertified.com/ Ross Wimmersberger is the owner of 4cIT based in Indianapolis, IN. He’s been in business for several years and is now transitioning to an MSP model. He got his start in banking and moved up the corporate ladder to eventually become CTO. Ross also works with several not-for-profits in his area who share his values.